Today was a big day. We finally finished our announcement trailer. And first public alpha build. And gameplay trailer. And they’re all available right now on our IndieDB profile. Preparations for this release included some refinements of the UI: the construction panel has been moved from the bottom-left corner of the screen to the center left, and has been drastically condensed. Medkits, weapon swaps, and flashlight toggles are now tied to clickable buttons. A new settings menu give you more control over the audio and graphic experience you have. 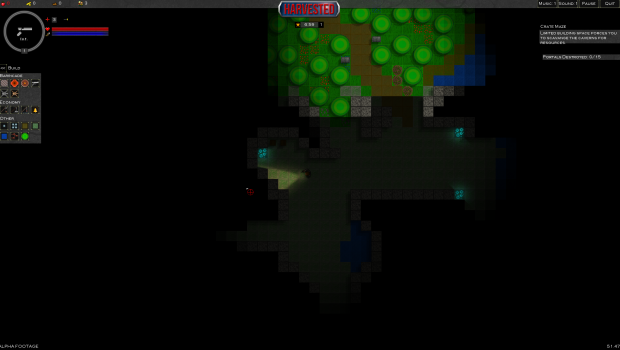 More exciting, however, is our implementation of dark caves. 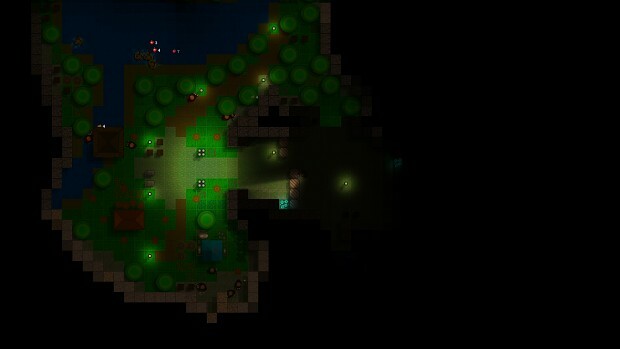 Caves are no longer set to the same brightness as open spaces and feature glowing mushrooms for illumination. 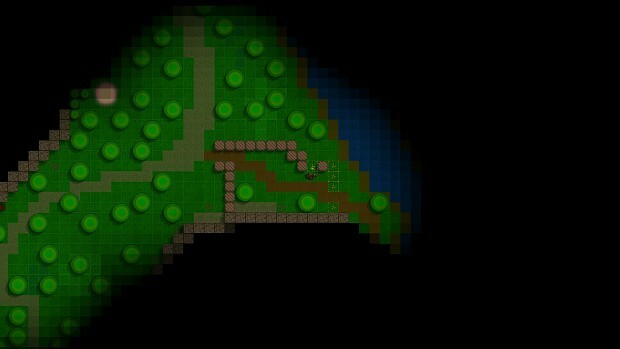 Day and night cycles now gradually fade into each other, rather than the sudden cuts seen in earlier builds. “Foothills,” the first example of a large map, has been refined and released as a part of this build. There is still some optimization to be done before the rest of the maps are enlarged but Foothills demonstrates the drastic improvements to gameplay that will come with these maps. This build also features improvements to the AI and many bug fixes.